Home » Signup for awesome Drupal hosting! 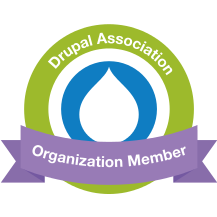 Signup for awesome Drupal hosting! Please fill in the following form to setup your Drupal website. The service is free for the first 2 months. If you do not cancel before the end of your trial period, we will charge you the setup fee of 4.00 USD. In your third month you will begin paying the monthly fee. The monthly fee varies with usage, and starts at just 20 USD per month. Your site will be available in a few minutes. Spaces or punctuation are not allowed. Use only alphanumeric characters. Your group name will be equal to your account name if left empty. Groups give you the ability to grant access to your website(s) to other developers. Spaces are not allowed. Punctuation is not allowed except for periods, hyphens, and underscores. Provide a password for the new account in both fields. The password must be between 6 and 30 characters. Fill in your main domain name, the name you would write on your business card. We strongly suggest you start your domain name with "www.". So "www.example.com", not "example.com. Read here why. Check to register your domain name for 2.00 USD per month. If left unchecked, you must claim your domain name yourself. Xplain Hosting can currently only register names ending with .com, .net, .org, .biz, .info or .nz. Note that your domain name does not have to be registered at this time as we provide an alias to access it. The Drupal 7 template is recommended. See the Drupal templates page for an overview of all available templates. City where your business is located. State (if applicable) where your business is located. Country where your business is registered. Your credit card will not be charged until your trial period is over. But your card will be pre-authorised as security measure.